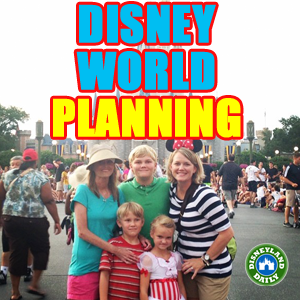 I get A LOT of questions about how to plan for Walt Disney World. My area of focus is Disneyland and will always be Disneyland. However, I’m visiting Walt Disney World three times in 209, and another four in 2020, so I’ll be sharing how I plan and more as these trips unfold. My intention with sharing what I know is so that you can see what Disney World planning looks like compared to Disneyland. 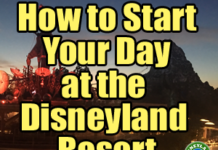 Furthermore, knowing how WDW works helps me guide WDW vets when planning Disneyland. With only 3-4 visits a year, I won’t be able to cover WDW like I do Disneyland since I visit our park once a week. But, with each trip, I’ll be sharing my detailed trip reports in the same fashion as I do Disneyland. Want to learn about Walt Disney World? 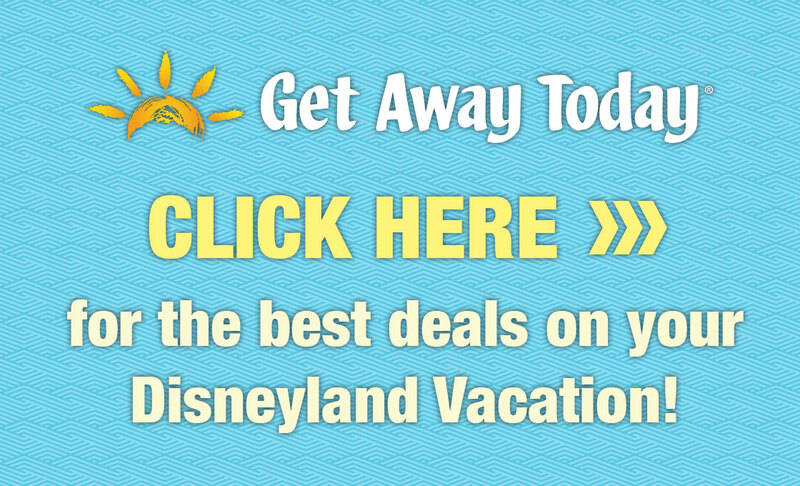 I’m a big fan of Get Away Today and use them for all my travel accommodations, within Disney Parks and more. They offer the best service I’ve found in the travel industry along with great pricing and insider knowledge. Their 29 year partnership with Disney really shines through. For discounted Disney World tickets, visit this link. This layaway plan allows you to put down only $200 to reserve your vacation. Pay the trip off at your leisure, as long as you complete the balance within 45 days of traveling. 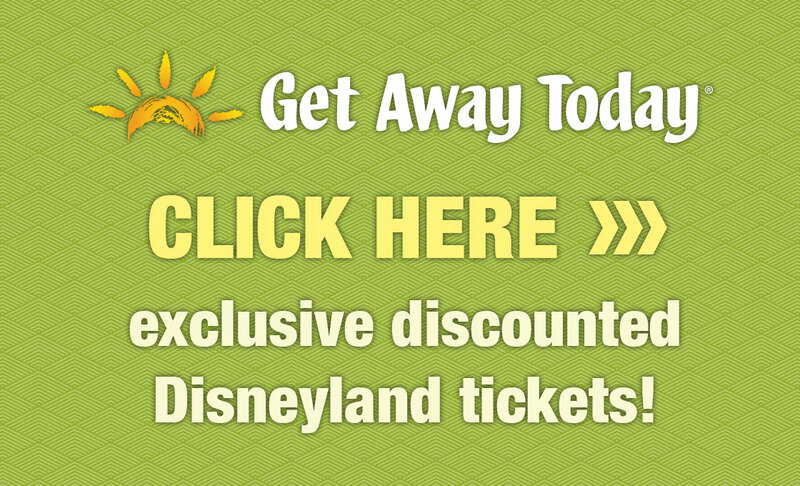 Take advantage of Free Dining, Sun & Fun, and other promotions offered via Disney when you book with Get Away Today. Just like Disneyland, using Get Away Today to book your WDW trip doesn’t cost any more than what you would pay directly with Disney. However, Get Away Today will help you personally with more planning than I’m able to do here in this post. 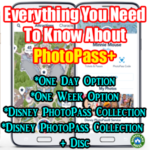 They will guide you with information on making dining reservations, FastPass+, and so much more. I was CLUELESS during my first visit. It’s really intimidating to visit Disney World after Disneyland. The two resorts are so different and the sheer size of WDW is monstrous compared to Disneyland. This post shares all about that trip. It was crazy, magical fun. But, I have learned a lot since then. Disneyland consists of 500 acres. Within those acres, we have 2 theme parks and 3 Disney Resort Hotels. Because Disneyland is immersed in the city of Anaheim, good neighbor hotels play an important role. Many guests stay off-site at Disneyland, unlike Disney World. The two parks here face each other and just about everything at the Disneyland Resort is in walking distance. Disneyland has Downtown Disney with shops and restaurants nearby. This link takes you to Disneyland’s official website. Disney World consists of almost 30,000 acres. Within what is essentially the size of San Francisco, Disney World has 4 theme parks, 2 water parks, and dozens of Disney Resort Hotels. It’s a city all its own. The majority of guests stay on-site at WDW, unlike Disneyland. WDW has several pricing tiers within their hotels that allow almost everyone to experience staying on-site. Disney World has Disney Springs and Disney’s Boardwalk, with shops and restaurants in both. This link takes you to Disney World’s official website. Disney Parks – on both coasts – are more popular than ever. And, they require a lot of income to keep them running as they do and in their pristine condition. So, if Disney predicts a lull in attendance, it will find a reason for guests to visit, be it via discounts, Free Dining, or added entertainment. Be prepared for the crowds and then pleasantly surprised if you encounter a slow day. With that in mind, here is a rundown of what you can expect throughout the year. I’ve shared notes on each month with the high/low average temperatures listed first. 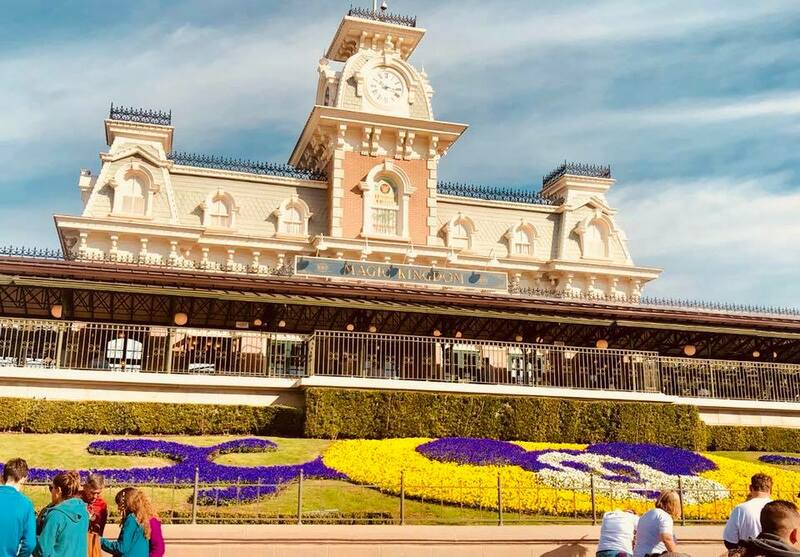 A 7 day trip is ideal for Disney World. This would include a travel day to start with, 5 days at Disney World, and then a final travel day. Within the 5 days not traveling, visit 2 parks, take a break day at the hotel, and then visit 2 more parks. If this is your first trip, I recommend visiting each park. I certainly have my favorites, but I think guests should see all the parks to determine their own. Have more time? Awesome. Try to schedule one or two park days….then a break day…..and then resume park days. Three days in the heat and busyness of Disney World can feel really overwhelming for a lot of guests. Park Hopper tickets are ideal and go on sale more often than one-park-per-day tickets. Visit this link for discounted WDW tickets. Disney World differs from Disneyland in that many guests stay at a WDW Resort Hotel because there are so many options for a variety of budgets. FastPass+ reservations can be made 60 days out. With Magical Express, you have the option to allow Disney to transport your checked luggage to your hotel. It’s magic. Visit this link for a peek at what this looked like on one of my trips. 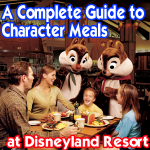 You may use the Disney Dining Plan if you wish. Resort Package delivery is included. Resort room charging privileges are included. Dining reservations can be made 180 days out like all park guests. However, those staying on-site can make reservations for up to 10 days on that first day. I’ve been lucky enough to stay at some great hotels so far. My favorite WDW Resorts so far are The Contemporary and The BoardWalk Inn. The Contemporary is Disney World perfection for me. Love that it’s close to Magic Kingdom. And, the monorail goes through the hotel. Everything about it is fun, yet, it’s still a high end WDW option. The building itself epitomizes Walt Disney World, in my opinion. This resort has magic for everyone. Visit this link for a peek at The Contemporary. The BoardWalk Inn has the best location, as it’s set in the middle of The BoardWalk, which is my favorite area outside of the parks. I love the design and close proximity to Epcot. Go here for lots of photos of this property and surrounding area. Also ‘on property’, but not exactly Disney Hotels? The Swan and Dolphin. Visit this link for more information on these options (and how they differ from Disney World Resort Hotels). Walt Disney World uses MagicBands and I love them! Unlock your hotel room door, scan for entrance to the park, redeem FastPasses, make purchases and more with your MagicBand. Guests who stay at a WDW Resort Hotel receive these bands with their vacation package. Guests staying off site may pay for their bands and attach theme park tickets to them to be used for park entry and FastPasses, but that’s about it. Click here to see how your MagicBand arrives at your home. For more on MagicBands, visit this link. Dining at WDW is an adventure in itself. Consider this – although vastly different in size, Disneyland and Disney World have nearly the same amount of attractions. It’s true! So, how does WDW fill four parks while we have only two? A big part of this can be credited to dining. 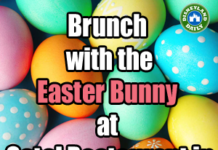 Make reservations online or call (407) WDW-DINE or (407) 939-3463. If you’re staying at a WDW Resort Hotel, you may make dining reservations starting 180 days in advance of your arrival date. At that time, you can book dining for the entire length of your Resort stay – up to 10 days. So, that gives you some extra time. If you’re staying off-site, you may make dining reservations starting 180 days out. Disney World includes a similar dining criteria to Disneyland. They have snack kiosks, counter service restaurants (no wait staff), table service restaurants (with wait staff), etc, etc. Cancellations can be made to reservations, but they’re a bit tricky at WDW compared to Disneyland. 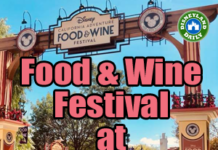 Visit this link for WDW’s dining cancellation policy. Some guests use the Disney Dining Plan, while others prefer to pay per meal. Dining Plans are available to guests staying on-site only. Free Dining is offered randomly throughout the year, but it’s more and more rare these days. I haven’t used the Dining Plan start to finish myself, but I’ve been with several friends who have. There are pros and cons to this option. Pros: Many people love that they can pre-pay for dining and have one more thing crossed off the list before they arrive. It’s also nice to be able to make payments on your trip’s dining if you use Get Away Today’s layaway plan (mentioned above in the first section) rather than possibly paying interest on your credit card purchases if you were to pay as you go. Cons: Some say that the Dining Plan is often too much for their family and that food (or vouchers) goes to waste. That, of course, means money is wasted. I’ve yet to see any of my friends not buying 20 or more krispie treats and other items that aren’t perishable with their unused snack credits on the last day of their visit. Maria and Enzo’s – This restaurant, along with Enzo’s Hideaway and The Edison are so much fun if you’re dining in Disney Springs. Highly recommend. Chef Mickey’s at the Contemporary Hotel – This is a classic character meal with a buffet ideal for when you visit Magic Kingdom, as it’s in walking distance to the park. Ride the monorail in to the hotel, dine, and then walk to Magic Kingdom. Book breakfast, brunch or dinner at this location. Visit this link for photos from Chef Mickey’s. Ohana’s Best Friend Character Breakfast Featuring Lilo and Stitch at the Polynesian Hotel – This is a more intimate character meal that is best for an off day in between park visits. It includes family style dining. Visit this link for details from my experience here in January 2018. 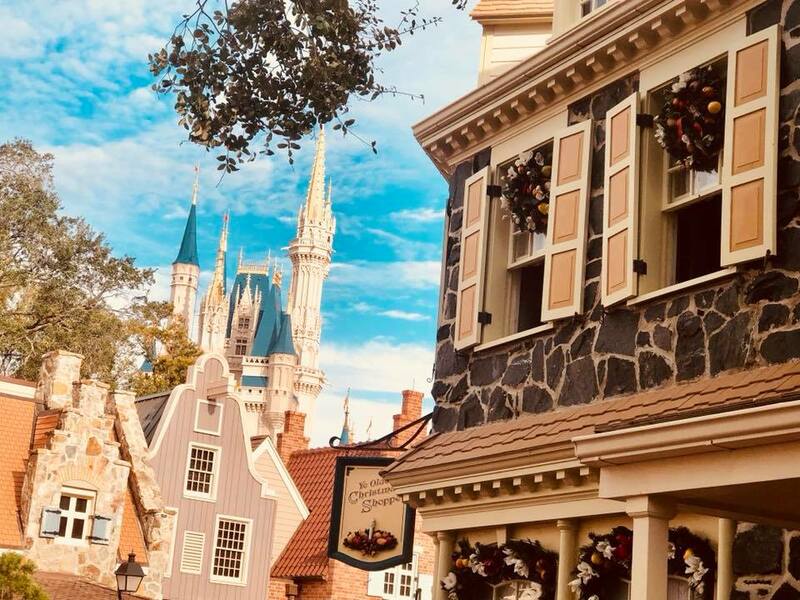 Be Our Guest at Magic Kingdom – Reserve breakfast or lunch for a ‘quick service’ meal that feels way fancier than the price tag or ‘quick service’ label suggest. The castle in which you dine is so over the top and something all guests should see. Walk through each dining room when you go. Visit this link for photos from this meal. California Grill at The Contemporary Hotel – Make this reservation for dinner to coordinate with fireworks at Magic Kingdom. Watch the show from the top floor with accompanying music. (Allow 1.5 hours to dine. You may leave your table to watch the show and then return to it to finish your meal.) The food is fantastic, as are the views. On my first visit, I felt pressured to book table service restaurant reservations. I was told NO ONE goes to Disney World without them. I booked them and later regretted it. We dined at Via Napoli at Epcot, which is lovely, but I recall spending $40+ on a pizza that my kids did not appreciate in any way. We had a second reservation that I ended up cancelling. All guests are different and have their own preferences. Don’t feel obligated to use the Dining Plan or make reservations if it’s not of interest to your crew. All four parks have really interesting dining options. You can enjoy the dining experience at WDW with counter service only if you wish. And, snacks! Don’t miss the snack kiosks. 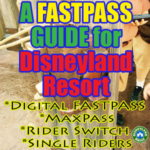 Instead of Classic FASTPASS or MaxPass at Disneyland, Disney World has FastPass+. This system allows guests to book FastPasses well before arriving at the parks. Guests staying at a WDW Resort Hotel may book their passes 60 days out. Guests staying at off-site hotels may book their passes 30 days out. FastPasses are included in your price of admission. When your booking date arrives, you will select 3 FastPasses per day. FastPasses are available for attractions, shows and character meets. When you select your 3 FastPasses for the day, they must all be at the same park. You will select them online or on the My Disney Experience app. Guests staying at a WDW Resort Hotel may select FastPasses 60 days out. Guests staying off-site may select them 30 days out. You may start your selections at 7:00am EST on your eligible day. Changes can be made after you choose your FastPasses, however, you likely won’t find what you did on your first eligible day. Once you redeem your 3 FastPasses (or the return times expire for those attractions), you may select one FastPass at a time for the remainder of your day. Those subsequent FastPasses do not have to made at the park you visited with the 3 FastPasses. When choosing your 3 per day, you may select them from ‘tiers’, depending on which park you’re visiting. This limits guests from selecting the most popular attractions for all 3 options. I’ve shared the tiers per park, below. I’ve shared my suggested first choice picks for each park, too. These picks are based on the popularity of the attractions. I’ve also chosen them for guests who are familiar with Disneyland, but not WDW. For example, Hollywood Studios has Rock ‘n’ Rollercoaster and Disneyland does not. So, I would choose that over Toy Story Midway Mania, which we have at the Disneyland Resort. My picks are also suited for a range of ages. Visit this link to review height restrictions. Use the filters to narrow down your options per park to suit your crew’s interests, height, etc. While most WDW guests use the My Disney Experience app, there are kiosks located throughout all parks for you to make your selections. *No tiers at this park. Choose 3 from the list. Here’s an easy way to remember them – They all have double letters in their titles. TT, EE, and RR. Halloween and Christmas are busy times at WDW, just like Disneyland. What’s different? 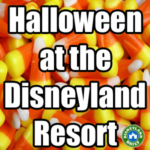 WDW hosts both a Halloween Party and a Christmas Party, where as Disneyland only hosts a Halloween Party. Both parties require each guest to pay an additional ticket price to attend the party. The events include entertainment and perks that you won’t find during non-party days such as parades, themed fireworks, lower attraction wait times, trick-or-treating or hot cocoa/cookies, etc. While the Halloween Parties at Disneyland throw guests into a panic to plan around, the parties on the calendar at WDW seem less critical since there are 3 other parks to visit on nights that Magic Kingdom closes early for the parties. I attended the second Christmas party of the year during my November 2018 visit. I’ve attended one before that, too. They’re fun! After hours parties are a great way to see seasonal entertainment and enjoy lower attraction lines. Disneyland vets might feel short changed when attending a Christmas party at WDW. At Disneyland, we are lucky enough to enjoy almost everything WDW has at their parties during a regular park day at no additional cost. This includes the Christmas Fantasy Parade, seasonal fireworks, seasonal World of Color, etc. While Disneyland Resort is small enough for guests to walk to nearly every destination, Walt Disney World requires different forms of transportation. Magical Express bus – If you’re staying at a Disney Resort Hotel, you can take advantage of the Magical Express bus from/to the airport. All resort hotels, minus the Swan and Dolphin, use this service. Another benefit of using the Magical Express is their luggage service. A few weeks before your departure you’ll receive Disney luggage tags in the mail. If you choose to use this service, put a tag on your checked luggage and Disney will take it directly to your hotel room, generally within a few hours. No stop at baggage claim! Just be sure to keep any important things with you in a carry-on bag. You can also take the Magical Express back to the airport at the end of your trip. Monorails – There are three monorail loops. Anyone visiting WDW can use the monorail system. The Magic Kingdom resort loop stops at Magic Kingdom Park, Disney’s Contemporary Resort, Disney’s Grand Floridian Resort & Spa, Disney’s Polynesian Village Resort and the Transportation and Ticket Center (TTC). There is an express monorail that only goes between Magic Kingdom and the TTC and another express monorail that goes between the TTC and Epcot. The Epcot monorail gives you some lovely views of that park. Buses – For anyone staying at a Disney Resort Hotel, you may choose to use the extensive bus system on property. Buses go to/from all Disney Resort Hotels to all parks and water parks, plus Disney Springs. You can also take buses between the parks or from the parks to/from Disney Springs. Buses do not run between resorts. Generally, you shouldn’t have to wait more than 20 minutes for a bus. Bus service from resort hotels begins 45 minutes prior to that park opening and runs until 2 hours after that park’s closing time. Bus service from Disney Springs runs until 2:00 am. Boats – There are several boat options at WDW. It’s a fun change! You can take a ferry boat from the TTC to Magic Kingdom and back, which is a nice ride if you don’t want to use the monorail. 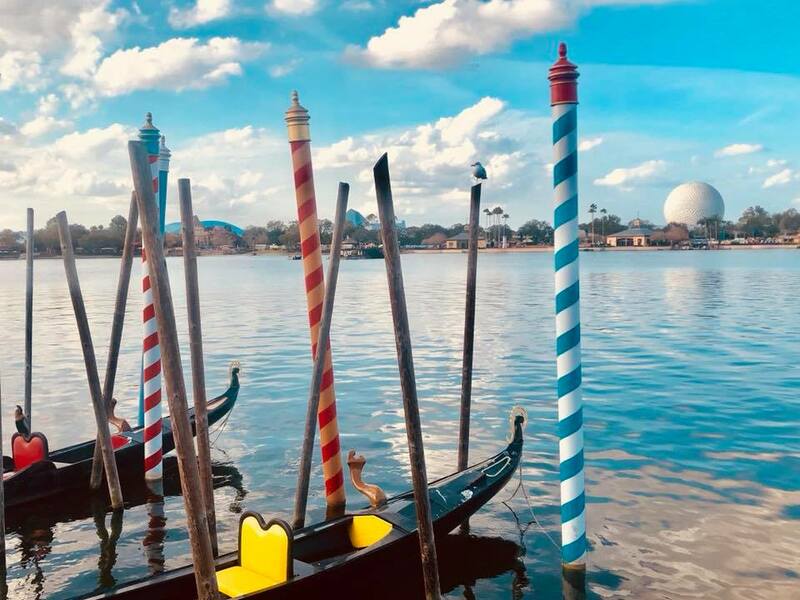 Water taxis to Magic Kingdom are available from the following resorts: Disney’s Grand Floridian Resort & Spa, Disney’s Polynesian Village Resort, Disney’s Fort Wilderness Resort & Campground and Disney’s Wilderness Lodge. There is a separate water taxi system that runs from the Boardwalk area resorts to/from both Epcot and Disney’s Hollywood Studios. Those boats stop at Disney’s BoardWalk Inn, Disney’s Beach Club Resort, Disney’s Yacht Club Resort and the Swan and Dolphin Hotels. 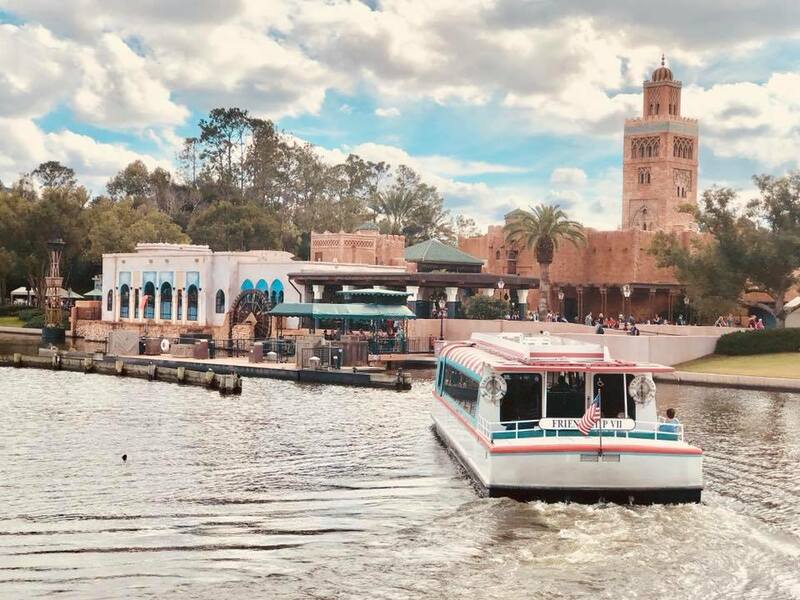 Disney Springs is accessible by boat from Disney’s Port Orleans French Quarter and Riverside hotels, Disney’s Old Key West Resort and Disney’s Saratoga Springs Resort & Spa. Minnie Vans – The Minnie Van service is run through the Lyft app and is available to anyone, anywhere on WDW property. They also now provide service to and from the Orlando Airport. It can be more pricey, but is a fun option and often much quicker than waiting for a bus if you’re on a time crunch. Each Minnie Van can seat up to 6 people and has 2 car seats available. This service runs from 6:30 am to 12:30 am daily. Visit this link for my review from WDW. Uber/Lyft – Regular Uber and Lyft services are also available on WDW property. Usually a bit cheaper than Minnie Van, and can be a convenient option if you need to get somewhere quicker than waiting for a bus or boat. Remember that Walt Disney World is HUGE. Plan on an hour to get anywhere, just to be safe. 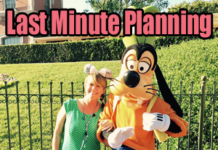 If you’re low on time, Minnie Van/Lyft or Uber is a great option. I often use them if I’m going from one resort to another, usually for a dining reservation. It’s much easier than taking a bus to a park and transferring to another mode of transportation. Sometimes Uber or Lyft also makes sense when going from park to park. For instance, I’ve used it to go from Magic Kingdom to Epcot because I wanted to be at the back of Epcot, rather than enter through the front. I took Uber from the Contemporary Resort to the Beach Club Resort and walked to Epcot through the International Gateway. It comes in right near the France Pavilion. If using Uber or Lyft at Magic Kingdom, they must drop off and pick up at the TTC. However, the Minnie Vans can go right up to to the bus area at the front of the park because they are run by Disney. All other parks have a passenger drop off near the entrance to the park. Note: as of January 2019, there is some construction going on in the parking lot of Disney’s Hollywood Studios, so the passenger pick up and drop off area may change. Note that no luggage or alcohol of any kind are allowed on Disney buses or boats. Since we don’t have a comparable option at Disneyland, the Magical Express is seriously one of my favorite parts of the trip. This link shares lots about it. Visit this link to find all of the accommodations at WDW to meet your baby’s needs. Each of the four theme parks has a fantastic Baby Care Center that will help so much with your trip. I strongly encourage you to consider the temperatures at WDW when you visit with your infant or toddler. The heat and humidity is significant, depending on when you visit, and can certainly affect your child. 3/4 of my WDW trips included temperatures in the 100s. Those 3 visits were in June (obviously), September, and November. It really can be super hot there any time of the year. I recommend Traveling Baby for stroller rentals at WDW, just as I do for guests visiting Disneyland. They deliver to your hotel and have a huge selection of not only strollers, but also pack-n-plays, feeding essentials, humidifiers, etc, etc. Disney World visits are typically longer than Disneyland, so those baby/child essentials will be greatly needed in your hotel room. Use code DLR10 for 10% off your purchase. Find Traveling Baby at this link. First, find the dress. Disney World guests GO ALL OUT with their dresses. If you want to make a statement, I recommend renting a dress from Fairy Godmother Couture. These costumes are worth hundreds of dollars and are nothing short of amazing. I share all about how this system works at this link. (My daughter, Lainey, wore one of her dresses, so we tried out the process start to finish.) It’s so easy to do, as the cleaning is handled by Fairy Godmother. Reserve your dress (or costume – she has more than just dresses) at this link and use code DLR15 at checkout to save 15% off your rental. If your child is more casual, grab a super comfy dress from Bitts and Pieces. We love these, too, as they’re made from soft t-shirts and don’t itch or cause kids to fuss. (I can’t guarantee your little one won’t fuss at WDW simply because she’s wearing one of these dresses. But, it’s a good start.) Unlike many princess dresses from Target and such, these dresses can be worn on their own, instead of over clothes, as I recommend with the others. This helps on hot days for sure. She carries adult dresses and embroidered shirts, too. Find Bitts and Pieces at this link. The following list includes popular options for princes and princesses at Disney World. Cinderella’s Royal Table – Dine inside Cinderella Castle for this royal feast, which many consider to be the best of all princess experiences. Make a reservation for breakfast, lunch or dinner. Akershush Royal Banquet Hall – Located in Norway in the World Showcase section of Epcot, this princess character meal is a huge hit. Make a reservation for breakfast, lunch or dinner. Enchanted Tales with Belle – Find this storytelling (and much more) experience in Fantasyland at Magic Kingdom. Consider this as one of your FastPass+ selections when choosing for this park. Bibbidi Bobbidi Boutique – Similar to Disneyland’s BBB, this version is more elaborate and has a much larger boutique for makeovers. There are two locations – inside Cinderella Castle at Magic Kingdom and at the Once Upon a Toy store in Disney Springs. I recommend the castle option. Lainey, my daughter, has done makeovers at both Disneyland and WDW and was in awe of WDW’s version. That could have certainly been due to the newness of it after several experiences at Disneyland, but I think the sheer layout of the boutique and the fact that it was in the castle (so exotic for Disneyland vets) was thrilling for her. This experience is open to guests 3-12 years old. Make reservations for it 180 days out by calling (407) WDW-STYLE or (407) 939-7895. This is the “Disneyland” of Disney World. It includes a similar layout to Disneyland, mostly parallel lands (with one exclusion and one change), and the overall feel of Disney magic. My thoughts on this park: After a few visits, this became my second favorite park. I enjoy it very much and love to compare what it has to offer to Disneyland. For most, this feels like the park to start and/or finish a trip at. I like that idea, too, although, I have grown to enjoy Epcot more. The main idea: Epcot combines new and old in one park. Walk into Future World to start your visit and then make your way back to World Showcase. This park is the most culturally diverse and hosts a festival of some sort during nearly every month of the year. Future World covers the front of Epcot and includes 8 pavilions. Innovative uses for technology and science, this part of the park appeals to many. Not me! That’s for smart people. (Just kidding. I enjoy it and have a favorite attraction here, which is Living with the Land). World Showcase covers the back of Epcot and includes 11 countries. Each country offers dining, entertainment, and shopping. Some have attractions. Cast members within each country are from that country, which brings a wonderful, authentic feel to this area. My thoughts on this park: This is my favorite. I absolutely love to explore the countries in World Showcase and could wander for days taking photos and noticing all the details. I don’t spend too much time at the front of the park, but instead focus on the countries. The main idea: Animal Kingdom takes two favorites for many guests and combines them into one. Zoo + Theme Park = Animal Kingdom. See animals in gorgeous habitats, enjoy attractions, see shows, dine, shop and more. 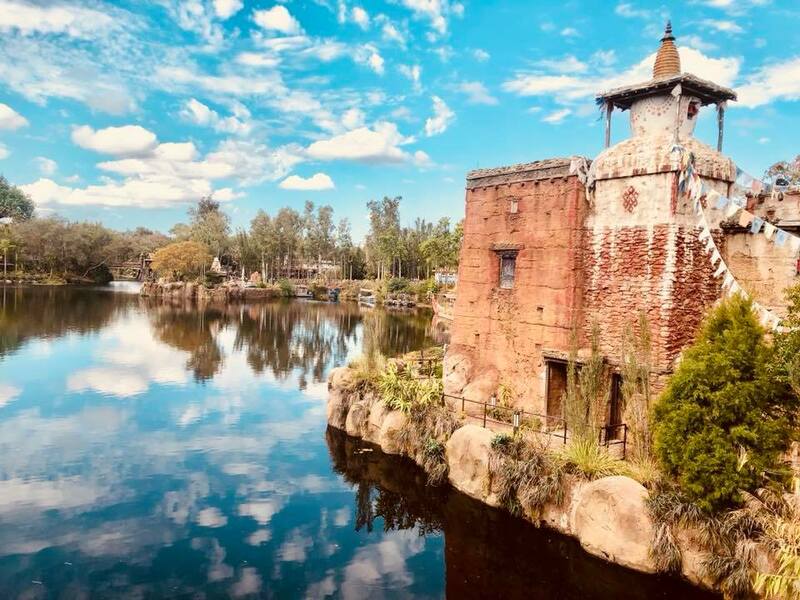 My thoughts on this park: After a tough visit on our first trip to Disney World, Animal Kingdom is now my third favorite. Although it always feels hotter than the others, this park’s theming is so lovely. Like Epcot, I could wander here for days taking photos. The main idea: Does anyone know? Another joke! I kid, I kid! This park has seen a lot of transition over the years and feels like it’s still working on finding its identity. Similar to what California Adventure used to feel like, Hollywood Studios combines several different themes into one park. My thoughts on this park: My least favorite of the four, but there’s some tough competition here. I visit Hollywood Studios each trip, but typically don’t stay more than a half day. There’s good stuff at this park and lots of fun ahead. I’m anxious to see how it feels with the two upcoming lands in place. Disney Springs is a shopping and dining district at Disney World. This area includes lots to do on your first or last day or any break days you might have. Dine at Ragland Road, visit The Edison (sans kids) for a cocktail and show, enjoy sushi at Morimoto Asia, etc, etc. There are 56 dining options to choose from. Shop at Goofy’s Candy Company, The Marketplace Co-Op (my favorite), Once Upon a Toy and more. There are 108 shops here. You can do a lot at Disney Springs, too. Bowl at Splitsville, see a movie at the AMC Theater, and take in live entertainment throughout the district. Have you ever seen photos of what looks like a hot air balloon at Disney World? It’s here and it’s called Aerophile. There is also a Star Wars experience called Secrets of the Empire by ILMXLAB and the Void. Find those activities and more at Disney Springs. So, here’s where we might disagree. I don’t love Disney Springs. It’s wonderful for those guests who don’t have these shops at home. It’s also great for guests who have several off days to explore. And, it’s beautifully put together. But, the shops and dining experiences are becoming more and more mainstream than in the past. There are some treasures here. Don’t misunderstand me. But, I would check out what your options are before committing. If you have limited off days, spend more time at your resort. Or, consider checking out Disney’s BoardWalk. I love this little area that holds similar options to Disney Springs, but on a MUCH smaller scale. I’m hoping to stay at the BoardWalk Inn, located here, on a future visit. Visit this link to see photos from one of my recent visits for all you can find at Disney’s Boardwalk. Let’s cover some basics when comparing the two parks. Walt Disney World offers several tours at an additional cost to your theme park ticket. This link shares a list of options. Go here to see photos from my experience at the Behind the Seeds Tour in February 2019. Recommend! Most people flock to Clearwater or other nearby beaches to relax after a trip to WDW. Not us! On our first family trip, we decided to visit the Florida Keys. At that time, it was to be our “one and only trip to Disney World”, so we chose to take advantage of being across the country. I’m a huge Hemingway fan, so off we went. It’s about 7 hours south of Orlando and worth every mile it takes to drive to it. We loved it so much that we returned on our second family trip in 2018. After renting a car in Orlando, we set off for a stop first in Key Largo to snorkel and then finished on Key West Island. Key West is all my tropical dreams come true. The island is only 3 miles x 4 miles, leaving everything only a bike ride away. I love its rich history and quirky residents. If San Diego were not so perfect, I would be tempted with settling in Key West. I’m proud to partner with many fantastic companies committed to making Disney trips more magical. Most of the companies I include on my list serve both Disneyland and Disney World. There are two exceptions. Those are Lansky Enterprises and Photography by Jaana. I wish they were a fit for Disney World, too, because they’re the best at what they do. Visit this link for info on everyone else that can help with your visit. Shop for the cutest t-shirts, princess dresses, park bags & clever see-through interior bags, Minnie ears with comfy headbands, the most darling vintage skirts perfect for Disney Bounding, Disney inspired candles, and super discounted gear for kids, including ponchos. Also! My recommendation for stroller rentals is included. Several of these companies have shared discount codes with Disneyland Daily readers, so look for those, too. As mentioned above, this post will be updated often, so check back for lots of info from my upcoming visits. 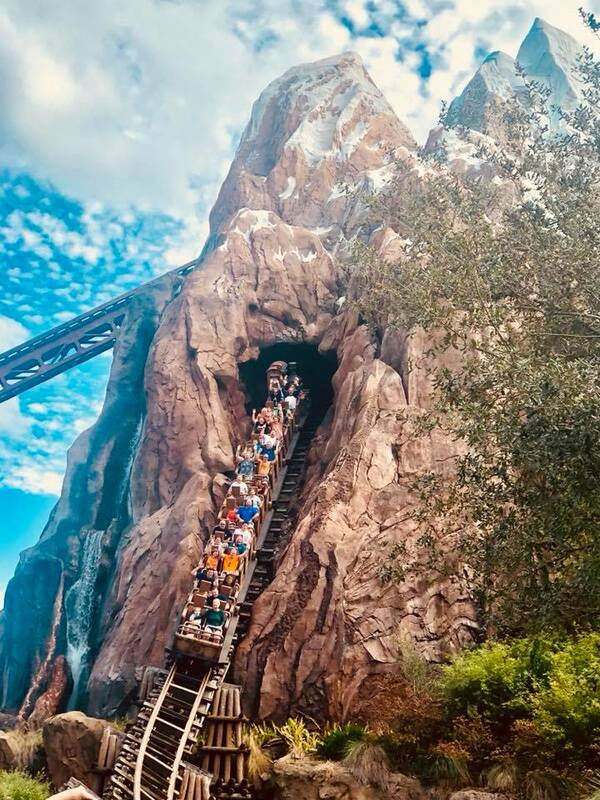 If you’re totally overwhelmed with Disney World, know that you’re not alone. It pretty much terrified me for the first couple of visits. After four trips, I feel much better about planning. Having a hard time choosing between Disneyland and Disney World? Visit this link to see what I suggest. What schedule/plan would you suggest for WDW for little ones? Would your DisneyLand one work for Magic Kingdom, I guess the layout might be different so I don’t want to chance it. They are young, almost 4 years old (boy) and 2 years old (Girl). Would you think Animal Kingdom would be good for them, more interactive? My plans won’t work for WDW, unfortunately. Magic Kingdom has several variations and the FastPass+ system is totally different compared to Disneyland. Definitely read up on that prior to visiting. I have a section for it in this post. Animal Kingdom is lovely! There’s plenty for kids to do there, too. Scroll down to where I detail each park and click on the links that take you to my Facebook posts, which share even more. Hopefully that can help you decide on parks. You have such fun ahead! Please let me know what other questions come up. What did you think of staying off site versus on site? 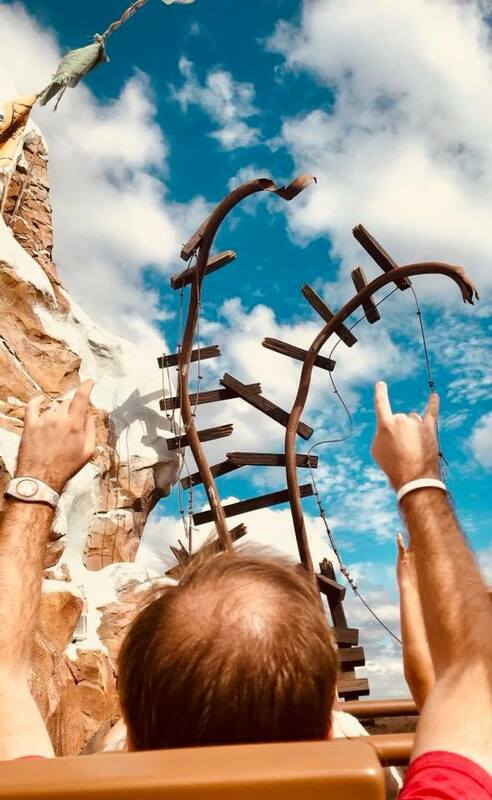 Did it make it more difficult or take longer to get to the parks? We are first timers going end of March/beginning of April 2019. I missed the Disney magic, but both hotels were amazing. Took a bit longer to get on site, but it wasn’t a huge deal. Family trip in January and we are staying off site (HGVC Orlando at Tuscany) and renting a car. We’ll have 8 adults, 4 toddlers (under the age of 5). Soon! We stayed off site this past trip and ubered each day to the parks. I’ll have more info for you ASAP! Love your DL posts, and loved your FB posts from WDW! This post hits home for me, as I grew up on the east coast going to WDW from infancy. My family even relocated to Florida when I was a pre-teen, which meant we visited even more frequently. But since I graduated college more than 20 years ago, the west coast—and now DLR—are home. Comparing WDW to DLR is like choosing between my children! I go to DLR quite often (at least once a season) and have an annual pass, but only make it to WDW every few years. My parents still live in Florida, so we try to squeeze in some magic whenever we can, even if it’s just the water parks or Disney Springs—there’s so much to do! We’re going for a quick and dirty two-day WDW trip in early June for the fist time since 2014 when FP+ was new, and I had to do the 4am PDT fastpass pull during the week. Brutal. Makes me appreciate MaxPass so much! As we have only two days, we’re focusing on Animal Kingdom and Epcot, those being the two more unique parks to WDW. Epcot has always been my favorite, and I remember so well our first visit when that park opened, as well as learning about Walt’s original vision for the “experimental prototype community of tomorrow.” I still mourn the loss of Horizons! I agree with everything you say about Hollywood Studios, and I tend to bristle when people coming to DLR remark that DCA is just like it, as DCA has really come into its own and is a vastly superior, much more cohesive park than HS (though I do love lots of things at HS; just not the park as a whole experience). But Animal Kingdom has grown on me. Upon my first visit after opening, I thought, “In your face, Busch Gardens? There’s Mickey in a safari hat!” But on our last visit we discovered that Expedition Everest is an amazing coaster ( ! ), Festival of the Lion King is not to be missed and we came to appreciate AK more for its wildlife awareness and environmental messages. This trip, we’re really looking forward to Pandora and the new nighttime entertainment. I’m glad to see it’s becoming more of a fuller day park. To make this long story longer, I always sum up for people who ask me that I feel DLR is just “easier.” You can’t go wrong with Walt’s original Magic Kingdom and two parks across the street from each other! I get a bit nostalgic for the spontaneity that WDW allowed before the FP+ system, and am grateful it still exists at DLR. But WDW does provide an incredible, all-encompassing and unique experience, and the planner in me gets so much satisfaction from the process of a WDW trip. Both resorts are magical and I won’t ever turn down a chance to visit either of them! And really, the basics are still the same no matter which resort you choose. Do your research, know what you want to do, arrive early and have fun! Oh, and eat all the food! Keep up the great work, Casey! Enjoy your upcoming WDW (and DLR) adventures! Agree with all! Thanks for your kind words. I really just wish I’d written more, Casey! LOL! “Disney World publishes park hours at least 6 months out; Disneyland publishes them the day before you arrive” Bahaha. This is so true. When I first made Disneyland my home park after years of WDW, I felt like they would never post the calendar. Now that I’m planning a return trip to WDW after 6 years, all I can think is, “Why do they have to do everything so early? Who can plan this far in advance?” Thanks so much for all this info. So much has changed since I’ve been there, and it’s nice to have a starting point for planning. Happy to help you! Keep checking back with this post. It will be updated often. you did a fantastic job my friend! 🙂 I love that you recommend Test Trak as a fast pass as so many people don’t realize the crazy amount of time that ride is out of operation – mechanical, rain, you name it! So by having a fast pass you are insured a ride vs. running there first thing in the morning and finding it down. So frustrating! And if you mentioned this already and I missed it, I apologize, but I just wanted to point out with Fast Passes if you can’t find the ride you want – try booking it one person at a time. I have a lot of luck this way. Your return time will overlap at some point and that is the time to ride as a group. And I am surprised your group didn’t like the Via Napoli pizza! To us that is our FAVORITE!!! !I am eating there twice next week and I am also the lunatic responsible for someone not being able to get a Be Our Guest REseration b/c I eat ALL THREE MEALS there on Magic Kingdom Day! LOL ! Good tip! Thanks, Melissa. And thank you or the kind words. So glad we now know who to blame for the lack of Be Our Guest reservations.